Hurricane Productions provides photography, videography and entertainment services for events all over the tri-state area, but we absolutely love working local weddings close to our headquarters in Red Bank, New Jersey. Over the years, we've had the opportunity to shoot countless weddings at many of the gorgeous waterfront venues at the nearby Jersey Shore. If your idea of a perfect wedding day includes a sunset beach ceremony, a photoshoot on the pier, or simply a beautiful ocean view as your backdrop, you'll fall in love with these event spaces and restaurants just like we did. 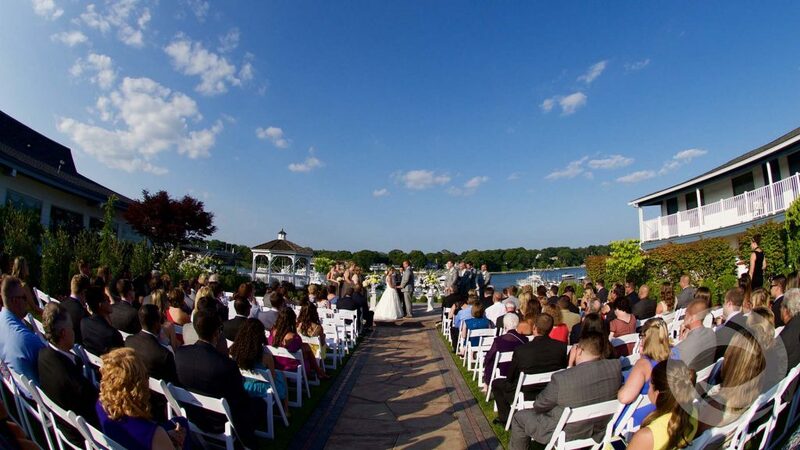 In alphabetical order, here are our favorite Jersey Shore wedding venues located on the water. Clarks Landing overlooks the Manasquan River, offering a stunning backdrop for both your outdoor ceremony and your reception in the second-story Grand Ballroom. The docks are accessible for photo sessions, which make for particularly gorgeous sunset portraits. This venue only hosts one wedding at a time, giving you exclusive access to the estate and grounds during your special day. Clarks Landing also offers a personal attendant for each of the newlyweds. Also located along the Manasquan River, the Crystal Point Yacht Club offers "sweeping views" of the water from every one of its rooms. Between the docks and the picturesque landscaped grounds, which include an outdoor ceremony space and a gazebo, you're sure to get magazine-worthy photos. Should you and your guests need overnight accommodations, a block of rooms can be reserved at the adjacent Crystal Point Inn. 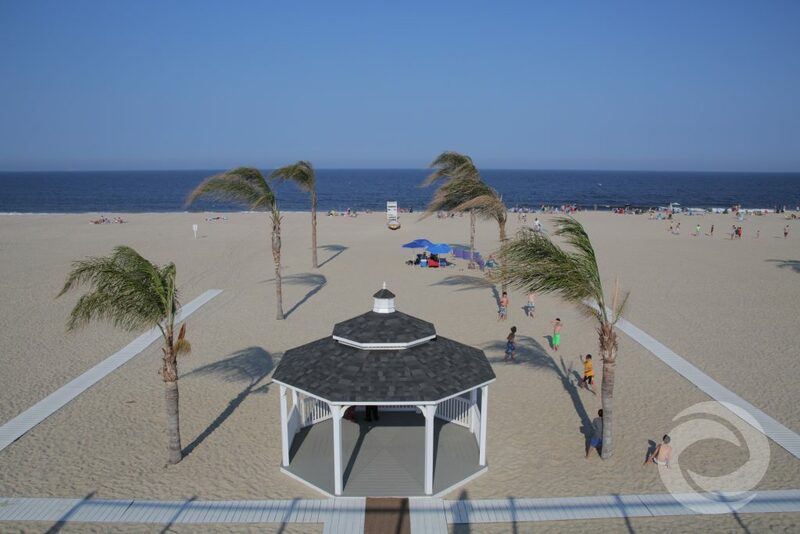 If you've dreamed of getting married on the beach, consider McLoone's Pier House, a popular restaurant and event space nestled in the heart of Pier Village in Long Branch. 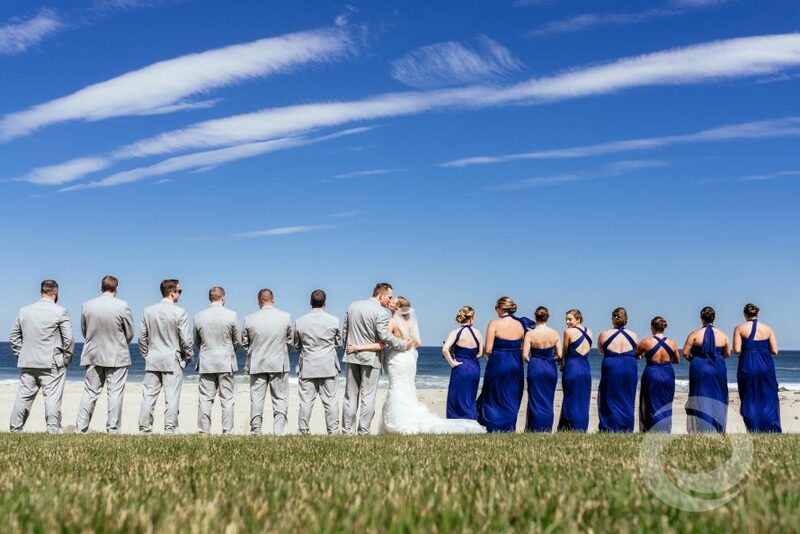 Your oceanfront ceremony will be set up just outside the building, and when you and your guests come inside for the reception, you'll enjoy a breathtaking panoramic view of the Atlantic Ocean through McLoone's floor-to-ceiling windows. All wedding packages include a dedicated maître d' for your reception, votive candles on each table, and a custom-made wedding cake. Renowned seafood restaurant Jack Baker's Lobster Shanty extends out onto a pier on the Manasquan River, giving you an unparalleled on-the-water experience. Weddings are held at The Sunset Ballroom, a recently remodeled five-room venue that accommodates up to 220 guests. The exquisite décor and beautiful river views provide a picture-perfect background for your wedding day. Situated between the Shrewsbury River and the Atlantic Ocean, water views are everywhere at Windows on the Water at Surfrider Beach Club. This 7,000-square-foot venue boasts a beachfront terrace and a gazebo on the beach for elegant photos before, during and after your ceremony. During inclement weather and the off season, Windows' open air Atlantic Deck can be enclosed in glass and temperature controlled, so you can have the beach view ceremony and reception you've always wanted. Looking for a more unique wedding venue? The Columns, located on Ocean Avenue just off the Avon Boardwalk, is a seasonal restaurant and club located inside a Victorian mansion. This 135-year-old establishment offers an eclectic menu, as well as an elevated wrap-around porch for a 360-degree view of its surroundings. When you book a wedding package at The Columns, you'll enjoy beautiful views of the Atlantic and use of its private oceanfront suite. Whether you need photography, videography or both, Hurricane Productions can help you capture every moment of your Jersey Shore wedding. Visit our pricing page or contact us to learn more about our media and entertainment wedding packages.